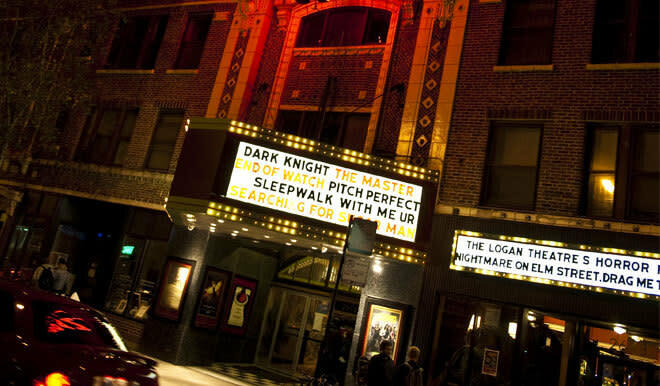 The Logan Theatre opened in 1915 as the Paramount Theatre, a single-screen cinema. In 1922, it was taken over by the Vaselopolis family. Chris Vaselopolis, the previous owner, was born in the Theatre building and dedicated his life to keeping his family's legacy alive through the Theatre's lighted screens. In 2006 the film Stranger than Fiction starring Will Ferrell used the Logan Theatre as a shooting location. 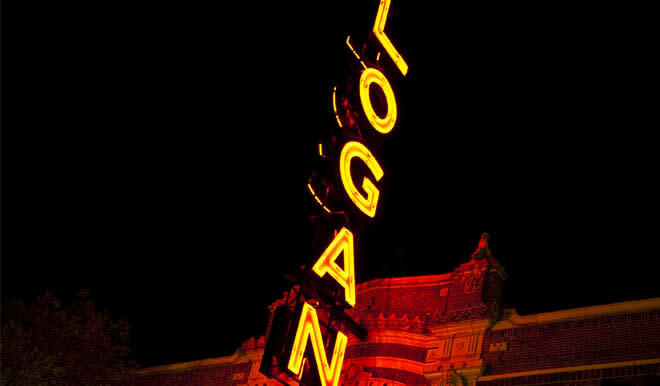 For nearly a century, the Logan Theatre has been a family institution with a deep tradition of neighborhood entertainment at an unbeatable price – a legacy the new Logan Theatre will continue. Our renovations revealed stunning details of the Theatre's original design and architecture that were obscured under decades of plaster. When you visit us, you’ll marvel at the fully restored stained glass arch over the Theatre's entrance, refurbished marble walls, and a decorative relief panel dating back to the Theatre's elegant 1915 interior. Our box office, concession area, and lobby have been expanded and remodeled with Art Deco details reminiscent of the original décor. We also invite guests to experience our bar and lounge, open late and serving a full range of beer and spirits.